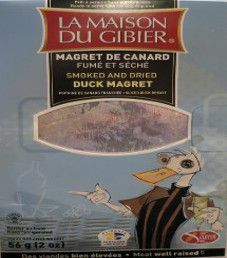 This review is for duck magret, made by La Maison Du Gibier Inc. Magret means the cut of meat is from a breast of duck. La Maison Du Gibier translated to English means “The House of Game”. They are located in Charlesbourg, near Quebec City, Quebec, Canada.